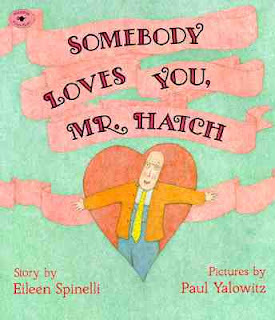 This is one of my favorite valentine stories. 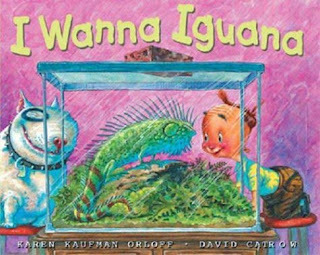 If you do not have the book or do not want to buy it, you can watch it with your students at http://www.storylineonline.net/. It is narrated by Hector Elizondo. 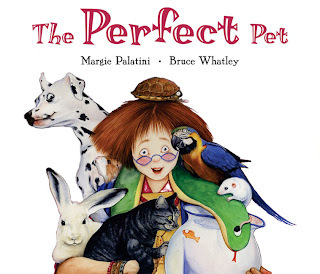 After reading the book, we wrote about the story. Our librarian had a "Donut Forget to Read" party for our kids who read 25 books over the Christmas break. I really liked her idea and the book she used so I thought I would share it. 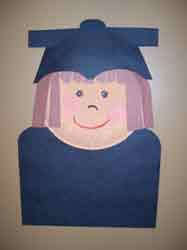 This would be a great activity for celebrating the letter D.
She read the book Arnie the Doughnut by Lauri Keller. Of course, everyone ate donuts! 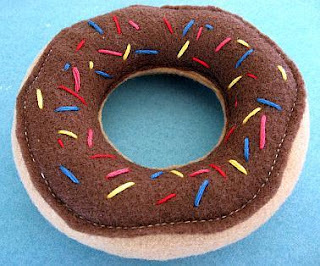 I found this cute Arnie the Doughnut cake in my online lesson ideas searching. 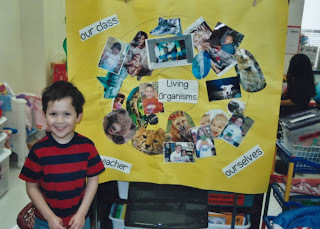 Students made their own Arnie the Doughnut by gluing strips of colored paper onto a donut shape. Mrs. Tricoli plans to mount them on paper plates, like Arnie is in the book, for display. 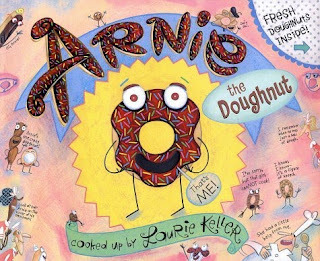 I found these other good ideas for using with the book Arnie the Doughnut. Coco the Carrot by Steven Salerno. Tired of life in the refrigerator, Coco the Carrot sets off to Paris to become a famous hat designer. Food Fight! by Carol Diggory Shields. When the salad greens declare “lettuce have a party,” who knew it would evolve into a ruckus in the refrigerator with food all over the kitchen stepping in for some of the action. Stop that Pickle! By Andrew Shachat. A pickle races down city streets trying to escape its capture by other food items. Emotions Discussion: What are You Doing? : Arnie is very comfortable sharing his emotions with Mr. Bing and uses words to communicate his anger and frustration. After his anger, Arnie works with Mr. Bing, figuring out a way to prevent being eaten. What would you do if you were Mr. Bing? 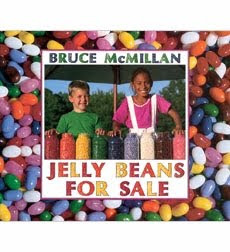 Literacy/Language Development: Vocabulary: this book introduces many words that may be unfamiliar to children: bonjour, crullers, éclair, fritter, etc. Discuss what these words mean. Counting/Math Extensions: Math Concepts: how many doughnuts are in a dozen? Using an egg carton and 12 miniature pictures of doughnuts, have children place one picture in each eggcup. Discuss what is a baker’s dozen (13) and the story behind the number. Doughnut Math Magic: use large pictures of doughnuts to do simple addition and subtraction. How Many, How Much: create math and money problem solving questions involving doughnuts. 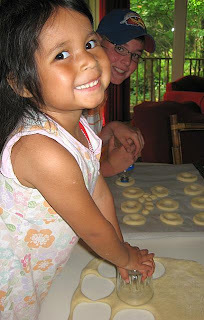 Art Activity: Create-a-Doughnut: Use playdoh, paper and crayons or other art medium. 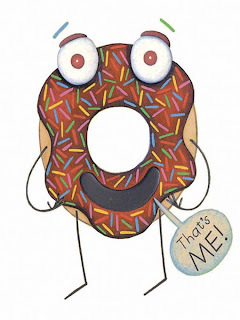 Encourage children to create and name their favorite doughnut. Field Trip: A Trip to the Bakery : Organize a field trip to your local bakery. Ask the baker if he/she is willing to demonstrate how doughnuts are made and tour the premises. 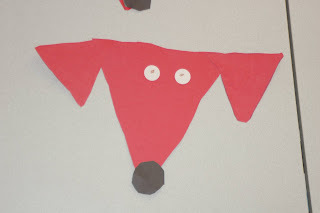 Writing Extension: My Very Own Doughnut Dog : create a story about how you find your very own doughnut dog and the adventures you have together. Cream filled, sprinkles on the top. Vanilla frosting! Jelly! I can't stop! The students in this class actually made their own donuts after reading the book.